Now that the holiday is over (albeit temporarily, isn't Christmas just around the corner? 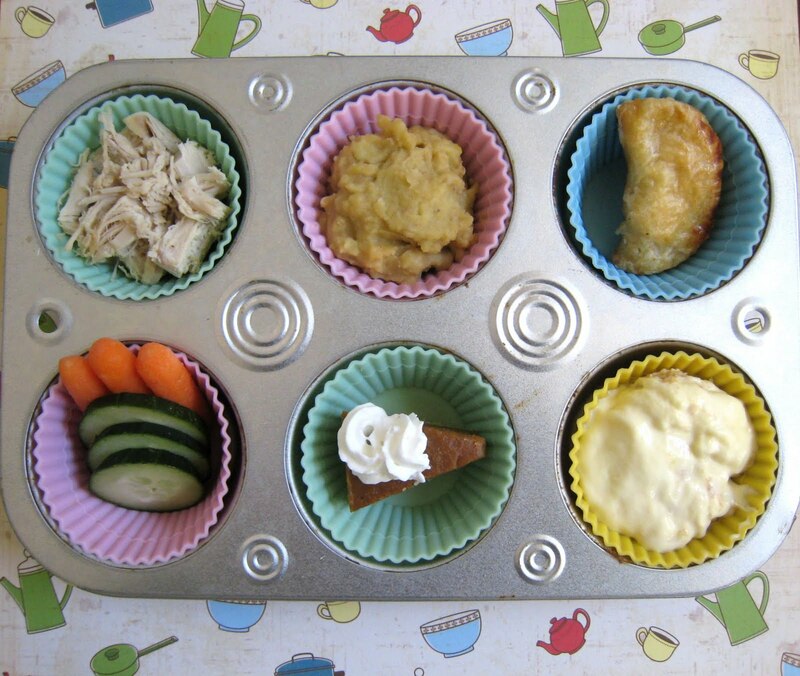 ), it's time to get back to bentos, and muffin tins, and recipes. Being that I cooked a nearly 10lb turkey for just the four of us, the most appropriate muffin tin theme is "Thanksgiving leftovers". Honestly, we're going to be eating turkey for the rest of our natural lives. ;o) I already have pot pies and casseroles in the freezer, so trying to figure out what I can remake the turkey into, I'm thinking a stir fry, maybe? Banana pudding, made by Shaun's coworker Sheri for a Christmas party last night, F&B highly approve! Leftover turkey makes an excellent chicken swap in stir fry... also it's great in enchiladas if you haven't made them yet. yum. I think pot pie is going to be on our dinner menu tonight...and yes, I'd love the sweet potato puff recipe too! Yes please share recipe for the sweet potato puffs! I want the sweet potato recipe too. Looks delicious! Can't wait to see the sweet potato puff recipe.